Dutch police is not messing around – and it appears it is now purportedly chasing users suspected in purchasing illegal substances on the dark web’s second largest drug marketplace, Hansa. Earlier today, one distressed Hansa buyer took to Reddit to warn fellow dark web market users that police is now actively investigating him in connection with a small-scale drug purchase he made on the illicit marketplace. The cryptic warning comes only days after Europol revealed it ran an elaborate undercover sting in collaboration with the FBI, the DEA and the Dutch national police that involved seizing and assuming control of the dark web’s two largest markets – AlphaBay and Hansa. 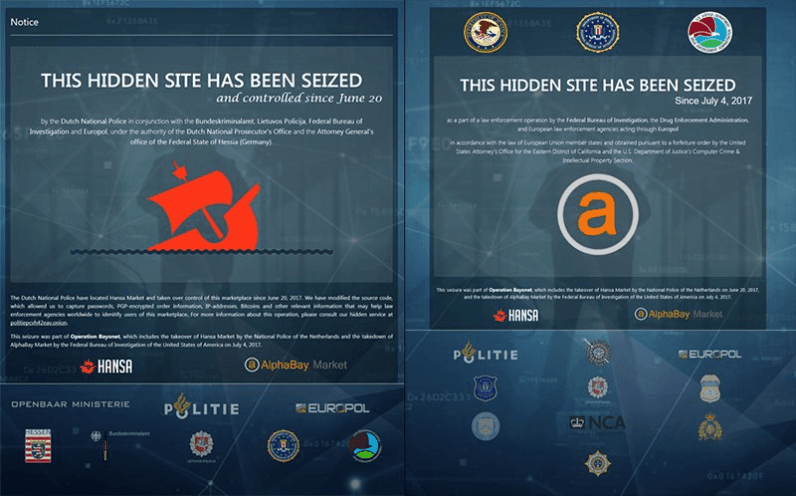 The operation saw US law enforcement raid and shut down AlphaBay in an effort to drive traffic to Hansa, which Dutch police had already taken charge of. This allowed Dutch officers to monitor Hansa and collect implicating user data for over a month. In the aftermath of this colossal bust, Dutch law enforcement stated its intentions to continue the operation by actively pursuing Hansa users. More shockingly though, it also vowed to go after at least 500 buyers. Following Europol’s announcement, there has been a string of drug-related arrests across the globe. Meanwhile, word on the street is that the third largest illegal dark web marketplace, Dream Market, is also currently under the supervision of authorities. Some Redditors have so far expressed doubt over the claims of the anonymous poster – and perhaps rightfully so. When asked to provide any evidence beyond his words, the user claimed he had not received received an official letter from the authorities yet. Given that the poster admittedly used a “throwaway” account to get the message across, it is almost impossible to verify his claims without further evidence. But if police is going after buyers for as little as $20 bucks worth of meth: You might want to follow his lead and clean house while you still can.